Top-flight dancers perform in "Sleeping Beauty," coming to the Shubert. 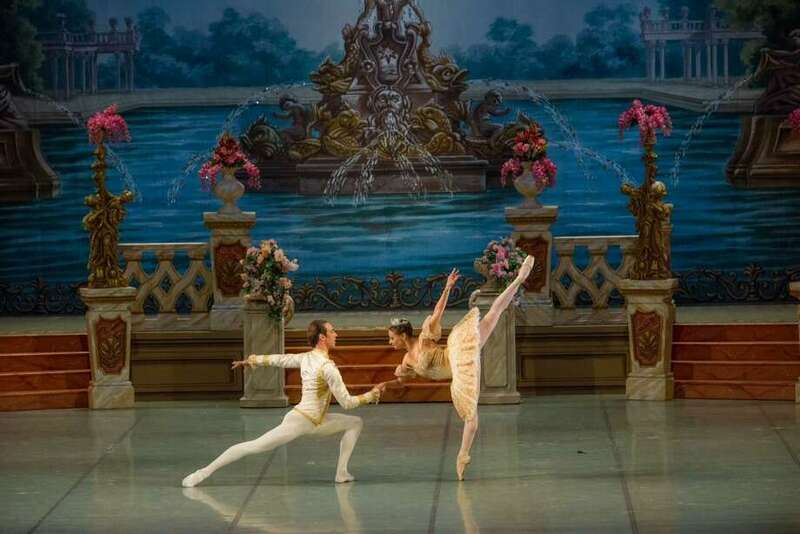 The National Ballet Theatre of Odessa will be a long way from home — which is 1 Tchaikovsky St., Odessa, in the Ukraine — when the troupe visits the Shubert Theatre in New Haven Saturday, Feb. 2, although the cold weather outside may feel like home. As a show release puts it, the story of Little Briar Rose (also called Princess Aurora) and Tchaikovsky’s score are revered — also used in Disney’s version of the fairy tale — and the choreography is as demanding as it is beautiful. Tchaikovsky loved the story when he read it and wrote the music for the ballet, the story goes, and his long-time collaborator Marius Petipa choreographed the dance. It premiered in St. Petersburg, Russia in 1890.